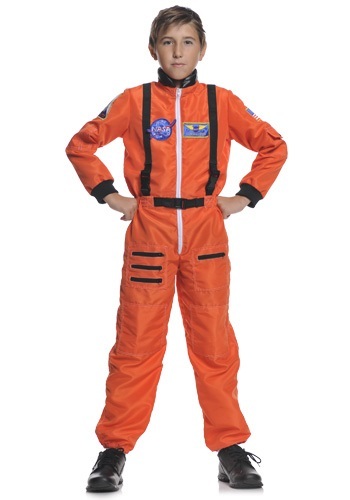 Get a head start on your future career choice when you go in this boys orange astronaut jumpsuit! 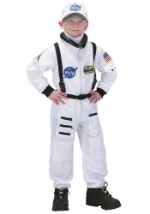 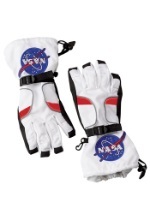 This high quality astronaut costume for kids features a very detailed polyester jumpsuit. 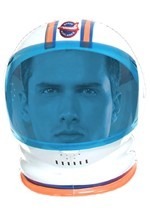 The jumpsuit is orange and looks and feels like windbreaker material, with two NASA patches on the chest, as well as a space shuttle patch on the right arm and an American flag patch on the left arm. 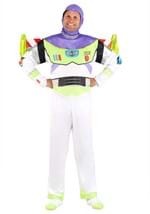 The jumpsuit has a zipper in the front that goes down to the waist. 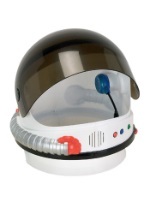 The collar stands up and has a black portion that looks like leather. 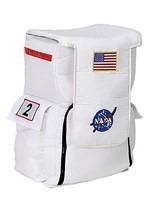 There are strap clips in the front and around the waist. 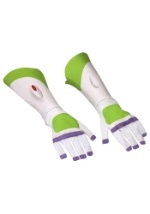 These are adjustable for a good fit. 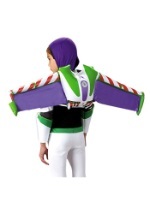 There are also many pockets on this costume, one on the chest with a zipper top, two on the legs, each with zippers as well, and both the arms have pockets too. 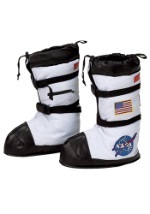 The bottom of the pant legs have elastic around them to stay secure. 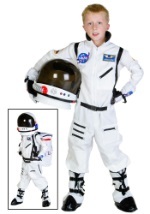 Blast off to awesomeness when you go in this boys astronaut costume.